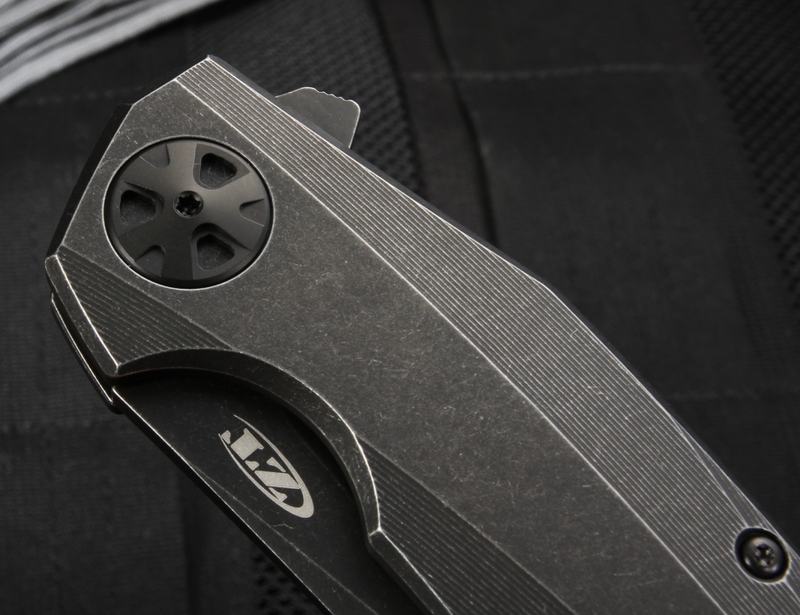 The Zero Tolerance 0456BW is a high-quality American-made folding knife that carries many of the features of a high-end knife - top quality materials, high tolerance manufacturing, and a design that reflects modern aesthetics with an eye towards performance. 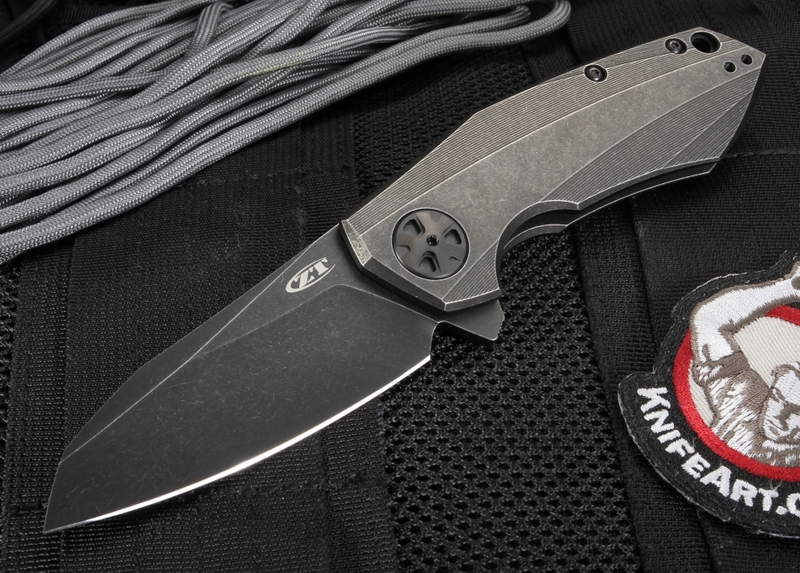 This ZT 0456BW flipper design comes from acclaimed designer Dmitry Sinkevich. The 0456BW folding knife blade is constructed of USA-made CPM-20CV stainless steel, a high-quality particle steel (also called powdered steel) with high amounts of vanadium and chromium for excellent edge retention and stain resistance. The blade has flat grinds and black wash finish. The wharncliff-style blade shape provides a long curving cutting edge for a variety of cutting and slicing tasks. 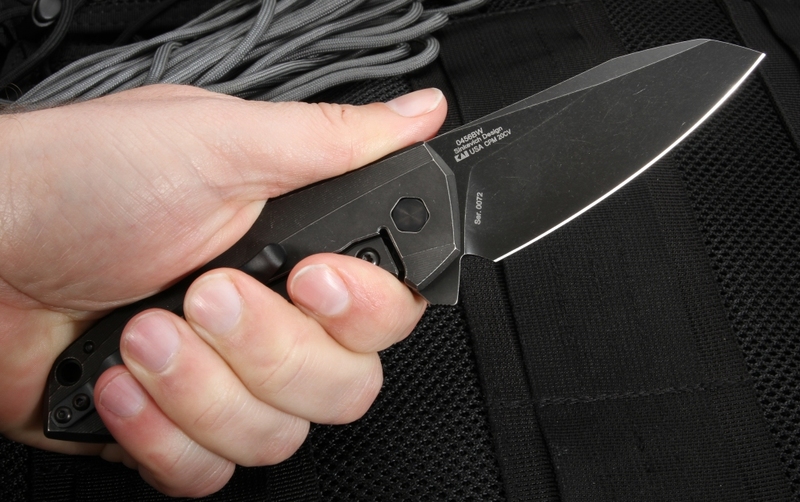 The knife opens quickly thanks to the flipper build and the KVT ball-bearing pivot system. 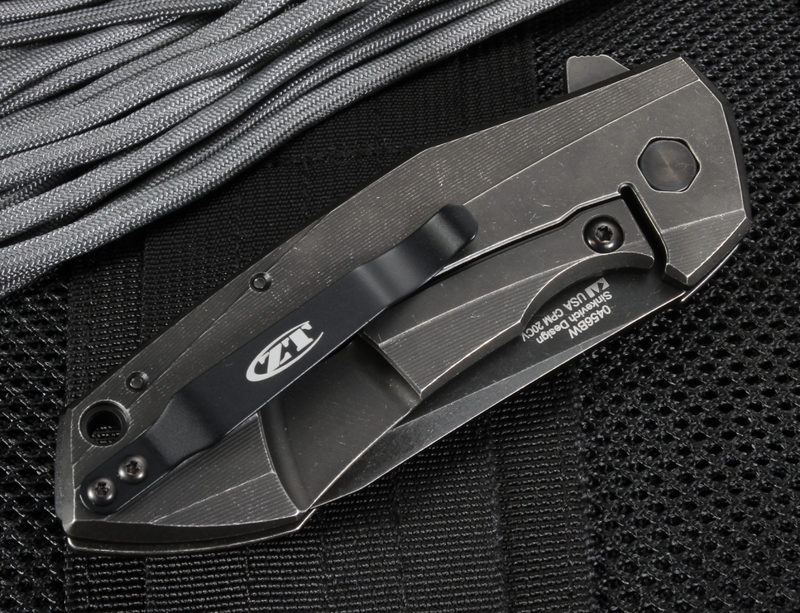 The ZT 0456BW has a full blackwash finished titanium handle with 3D machined contours and texturing that provide both great looks and a positive grip. 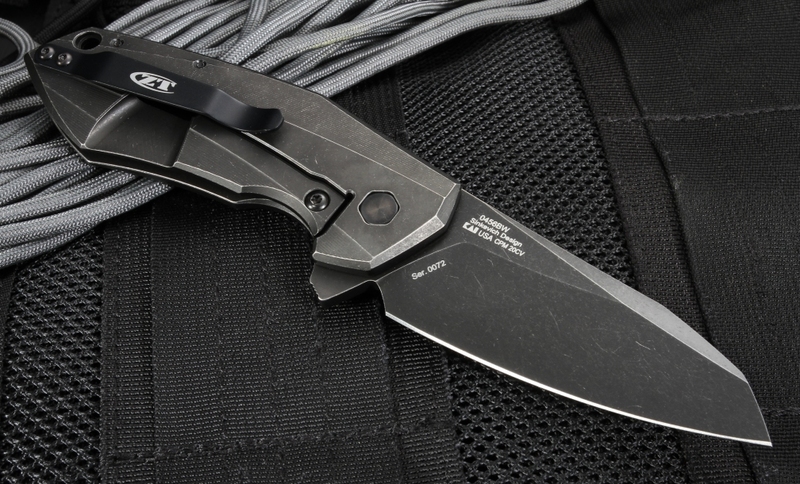 The knife features a frame lock design in titanium with a stainless steel lock bar insert for increased lock life. Aluminum handle spacer has raised jimping and a black coating. 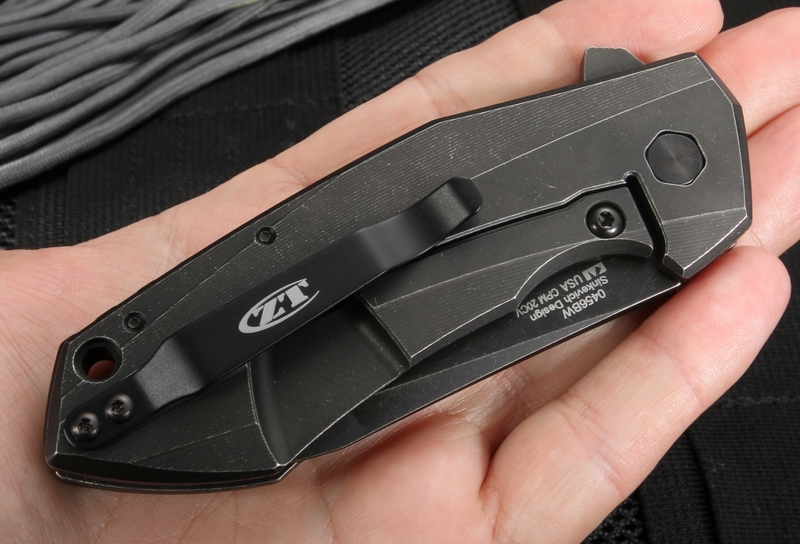 Black coated stainless steel pivot and pocket clip. 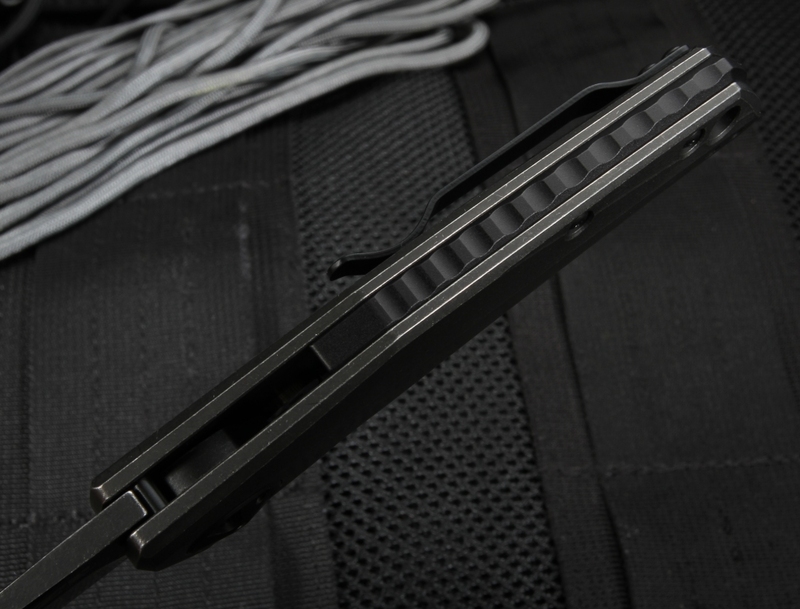 The pocket clip can be mounted for right or left pocket tip up carry. Lanyard hole in the handle. As an authorized dealer for Zero Tolerance, when you purchase from us you will receive a new product that carries a full satisfaction guarantee. We will also ship it free in the US with full tracking right to your mailbox. At KnifeArt, we are selective about the knives we sell, we choose only the best models from the top-of-the-top knife companies.